In your garden: basil is a companion plant to tomatoes. Supposedly, it will make your tomatoes sweeter. I have never noticed a difference, but why not plant them next to each other! It makes it easier for harvesting come caprese salad time! Plant in containers that have good drainage and are at least 8 inches deep. Basil requires at least 6 hours of full sun per day. 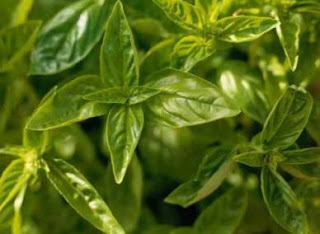 Do not over fertilize basil as this will cause it to lose its flavor. Wait until temperatures are above 50 degrees F at night to plant outside, uncovered. 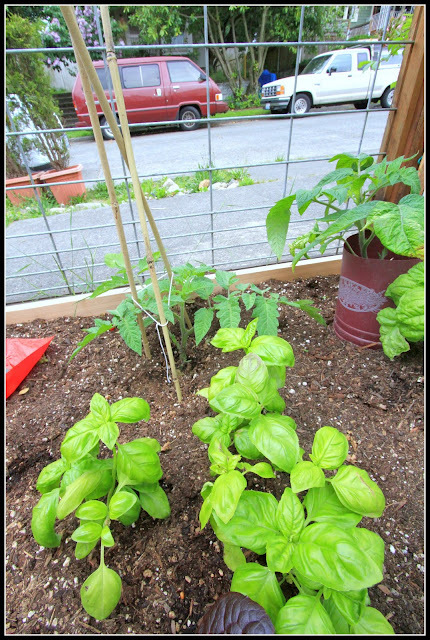 Watering: Some say you should let the soil dry out in between watering and some say basil needs consistent moisture. 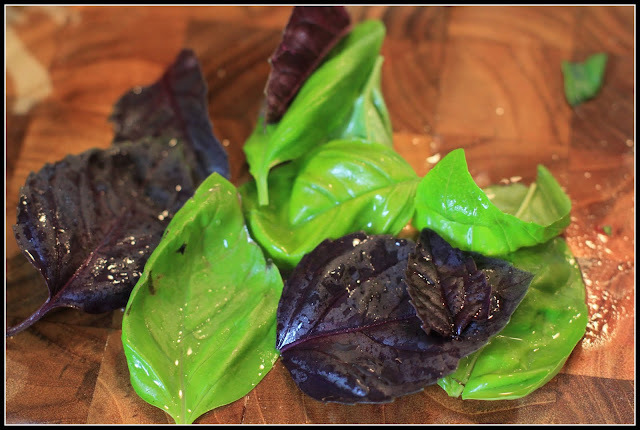 I usually keep my basil consistently moist and it works out fine for me! 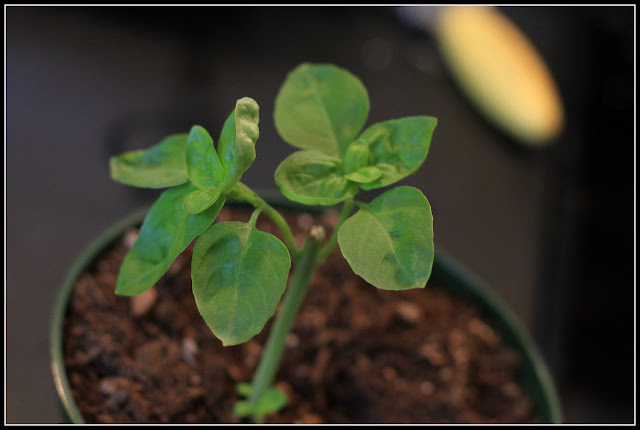 In the first few months, once the plant is over 6 inches tall, find the bottom two leaves and cut the stem right above the two leaves (see image below). This will make the plant more stocky and it will produce more leaves. Remove any blossoms that appear by pinching them off. 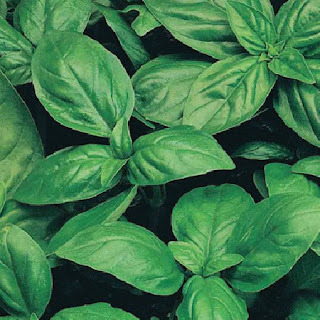 Prune your basil plant every two to three weeks throughout the summer. 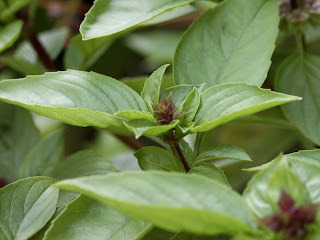 Leggy basil I grew from seed, time for a trim! Here's a picture a week later, you can see the new leaves coming in from where I cut. Watch out for aphids, slugs, mealy bugs, and spit bugs! 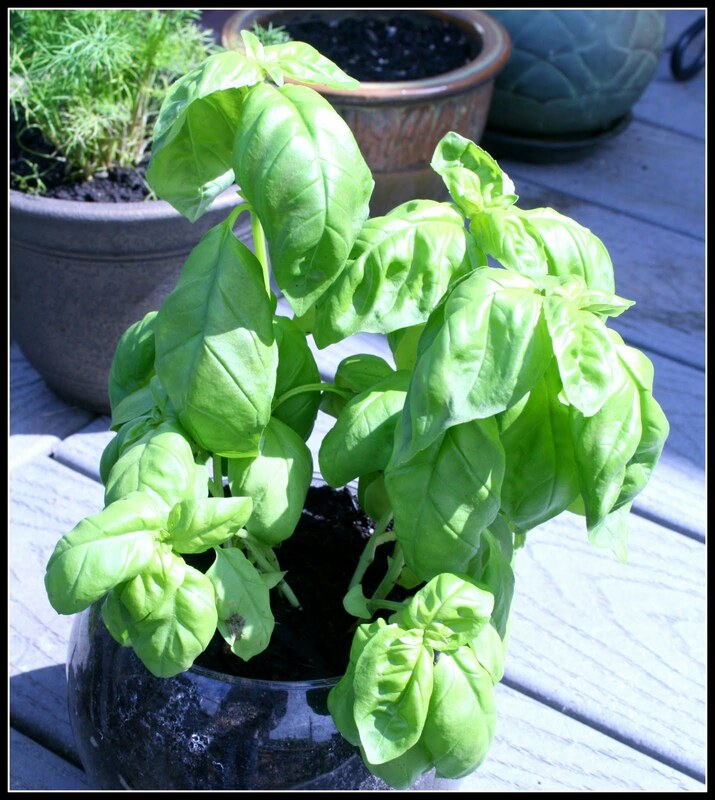 Basil is prone to root rot as well (where the roots stay too wet and begin to rot). 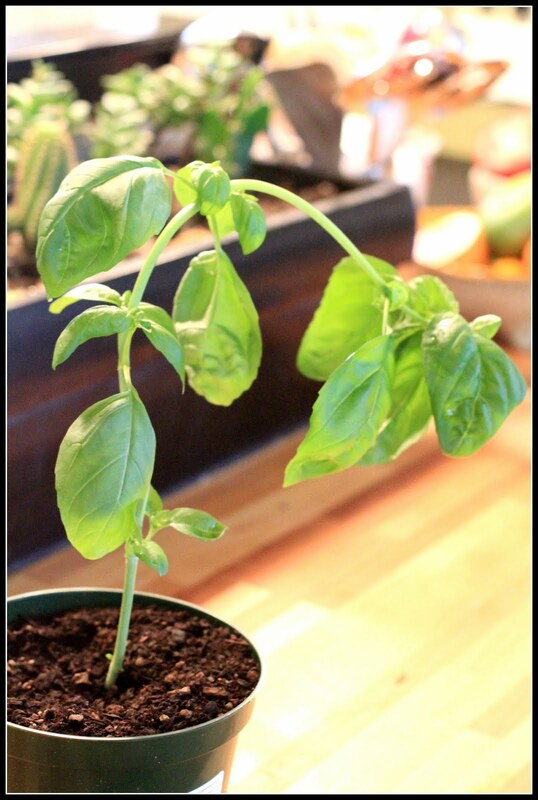 This is why I imagine people let their basil dry out in between watering. If you have good drainage, it shouldn't be a problem. If you aren't sure, try adding some perlite to your soil. Thai Basil: has more of a licorice flavor. 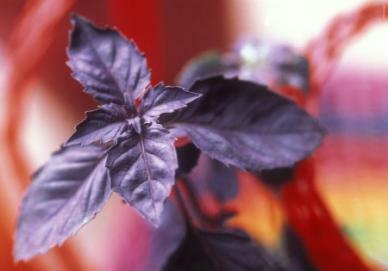 Purple Basil-tastes like regular basil, primarily used for its color. Try placing a few leaves into a bottle of vinegar! Did you know that you can cut a stem off of your basil and grow another plant from it? Place the stem in water until roots appear, then transplant to a container! I harvested a bunch of basil and *tried* to make different sorbets (using agave syrup instead of sugar)! Tomorrow I will post about the different flavors I made and how I did it!